Record visits and a Top 10 ranking prime the pump, and you can get there by car, plane or train. WHITEFISH, Mont. 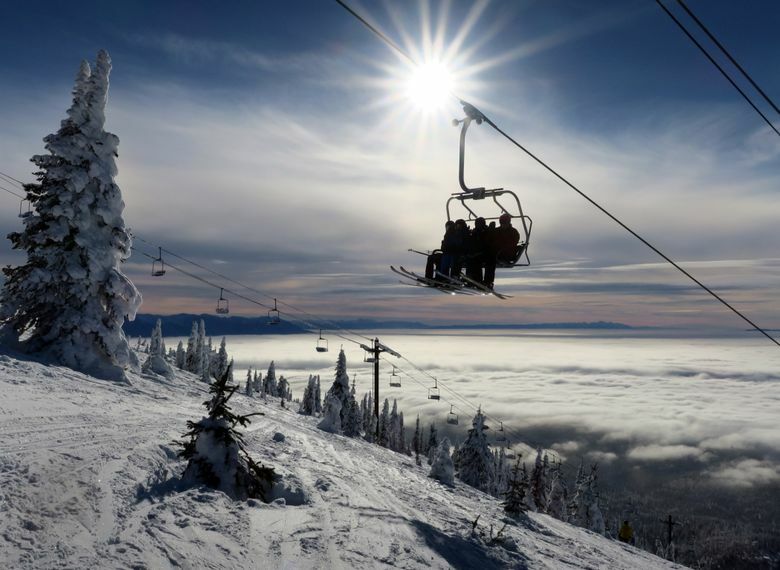 — Whitefish Mountain Resort is on the rise. Last season, a huge snow year helped the western Montana ski area record its most visits ever. 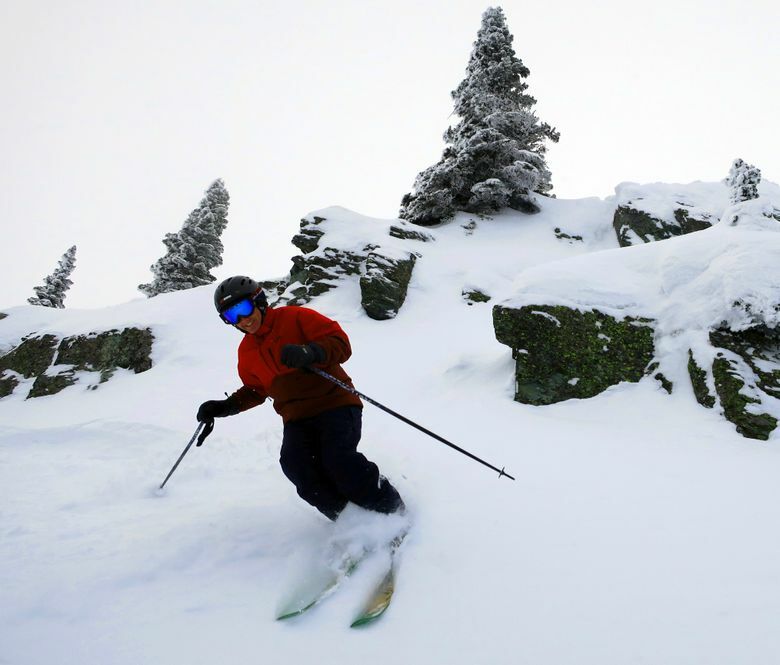 This year, the resort is pouring $2.6 million back into the mountain with village renovations and the installation of a major chairlift on the upper mountain. 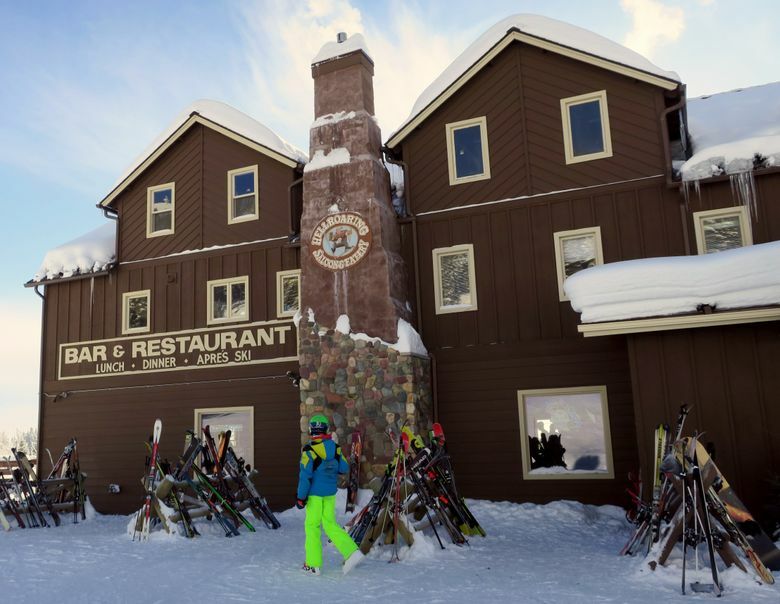 And if you believe polls, Whitefish is now ranked in the top 10 of best overall resorts in the West, according to Ski Magazine’s annual reader rankings, beating out some major names in the industry, including Aspen Mountain, Steamboat Springs and rival Big Sky, near Bozeman. No resort in Washington or Oregon even cracked the top 30 in the overall standings. For Seattleites, Whitefish Mountain Resort has some appealing travel options. Direct flights on Alaska Airlines to nearby Glacier Park International Airport from Sea-Tac take a little more than an hour. Amtrak also offers service to Whitefish, leaving Seattle in the late afternoon and pulling in the next morning, in time for a day on the slopes. When you arrive, you’ll find a mountain known for its excellent bowl and tree-skiing, and for receiving buckets of snow from Pacific storms that turn into Rocky Mountain powder as they head east. Eleven chairlifts serve 3,000 acres of terrain, and the setting is spectacular. From the mountaintop Summit Lodge (elev. 6,817 feet), enjoy stunning views of the Flathead Valley and Glacier National Park. For overnight accommodations, visitors have two equally appealing choices: staying on the mountain, with more than 200 condominiums, lodges and hotel rooms, or in the town of Whitefish, just eight miles away, with a thriving restaurant and bar scene. 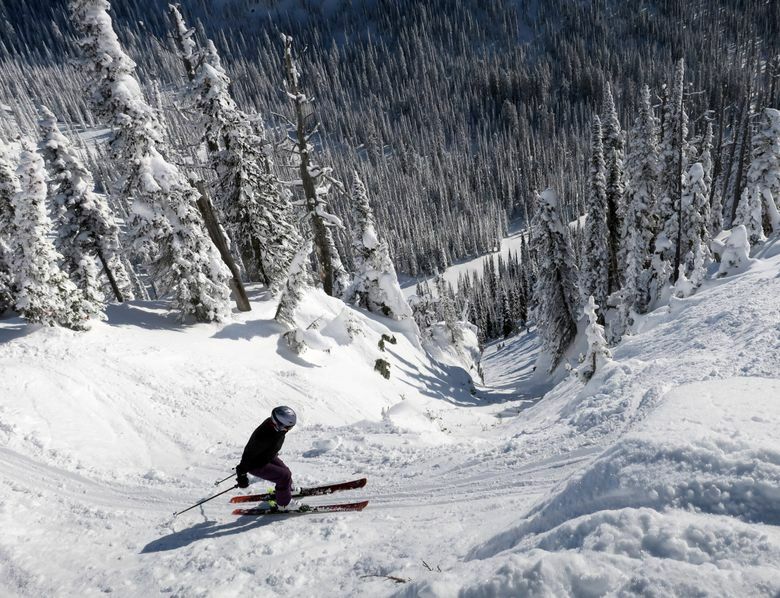 As the resort celebrates its 70th season this year, Whitefish is adding to its amenities. The new East Rim chairlift is being relocated from the front-side Big Face, where it had stood idle in recent years, and will serve primarily advanced terrain on the upper mountain. The lift will help move skiers off the Big Mountain Express, the main high-speed quad that serves the front side, and will improve access to two chairlifts on the back side of the resort, said Riley Polumbus, director of marketing at Whitefish Mountain Resort. Rising 805 vertical feet amid rocky cliffs, the East Rim chair also will be a boon for advanced skiers, serving many double-black diamond chutes and steep drops. Intermediate and beginning skiers will also have options down on three popular runs, Polumbus said. “It’s going to be an interesting ride because it carries you up some very steep terrain,” she said. Other improvements include remodels of two village mainstays, Ed & Mully’s Restaurant and a popular après-ski hangout, the Bier­stube. “We had a great season last year, so we wanted to put some money back into the resort,” Polumbus said. What makes Whitefish worth the trip from Seattle? Skiers and snowboarders from the Puget Sound region offer many reasons. Adam Zuber, a backcountry skier from Seattle, visited last winter and had a great time exploring the mountain’s many trees and powder stashes. “If I had a resort like that so close to me, I’d ski there every day,” he said. Visitors also praised the town of Whitefish for its mix of old-school Montana bars and restaurants and its ever-growing culinary scene. The community spirit visitors talk about was apparent last winter, when the town faced a public-relations nightmare. In January, white supremacists announced plans for an armed march through Whitefish, but instead of rolling over, residents banded together to fight the event, holding a high-profile counter rally and forming a group called Love Lives Here. The neo-Nazi parade plans quickly fizzled. “The community stepped up, spoke up and stood up,” said Rhonda Fitzgerald, owner of the Garden Wall Inn, a popular bed-and-breakfast in town. Perhaps more than any other ski destination in the country, the nearby town and the ski resort are seen as being integral, according to Ski Magazine’s readers poll for 2018. 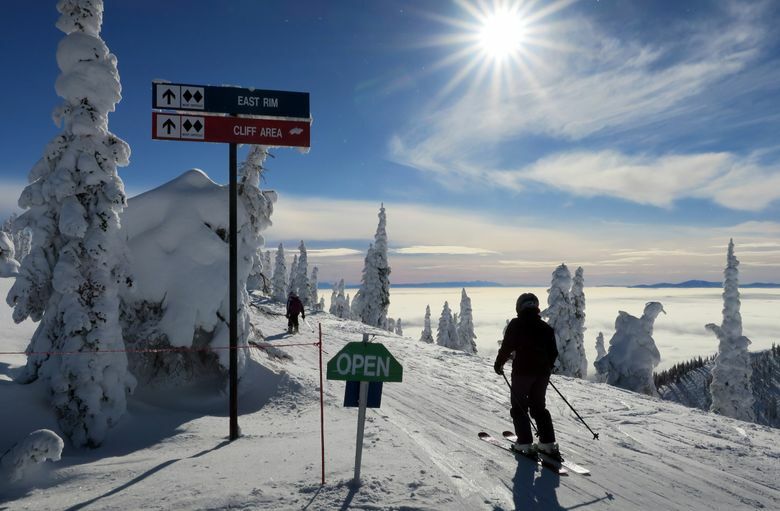 Whitefish Mountain ranks as 10th best resort in the West among readers. “Skiers are seeking out more authentic experiences, and Whitefish, with its genuine downtown, friendly locals and vast, uncrowded terrain offers just that,” said Sam Berman, senior editor at the magazine. 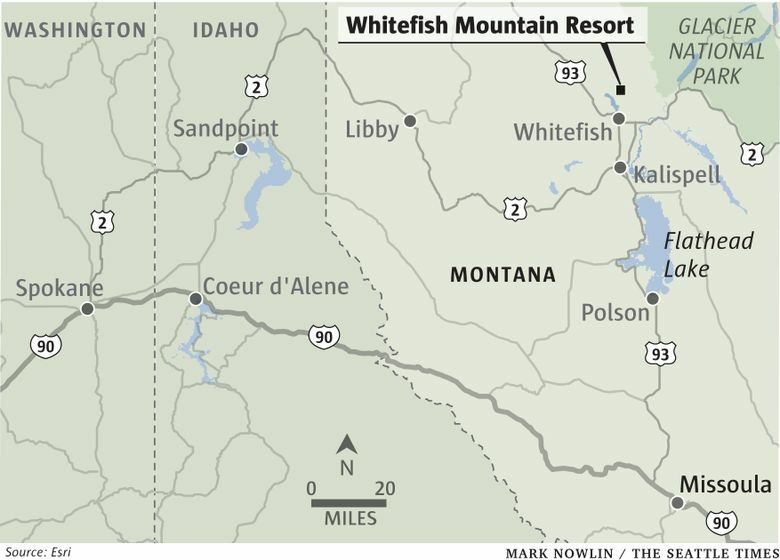 • IF YOU GO: Whitefish is about 530 miles from Seattle, about an 8½-hour drive; See skiwhitefish.com.